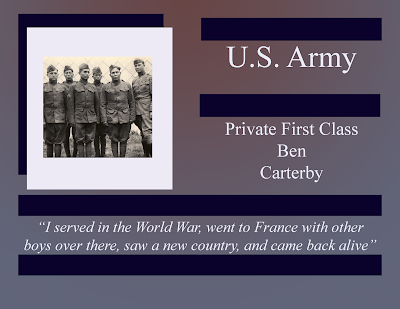 PFC Ben Carterby was born on December 11, 1891, in Ida, Oklahoma, which is part of the Choctaw nation. He attended Dwight Training School before his enlistment in World War I. Assigned to the 141st Infantry, he became one of the Choctaw code talkers. The unit was the first to use a Native American language to transmit messages. It is important to note that Native Americans were not given U.S. Citizenship until 1924, and fought this war regardless. 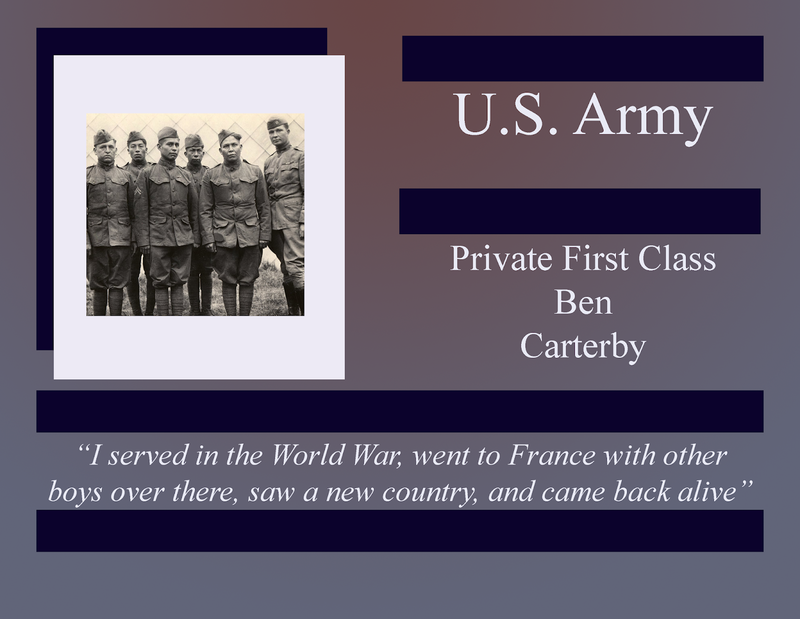 PFC Ben Carterby returned to his native Oklahoma after the war, dying on February 6, 1953.